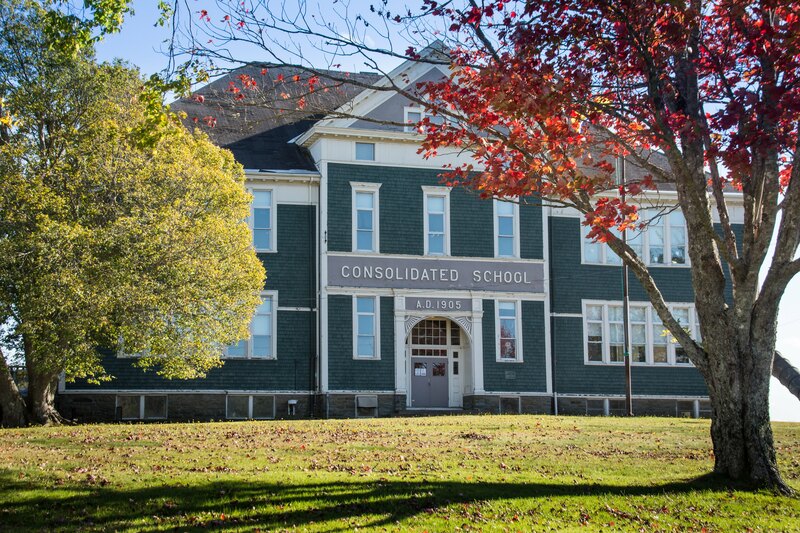 The school was built in 1905 after legislation was passed in New Brunswick to encourage the establishment of consolidated schools. With donations from Hon. Abner Reid McClelan, resident and former lieutenant- governor, and the design by architect W.E. 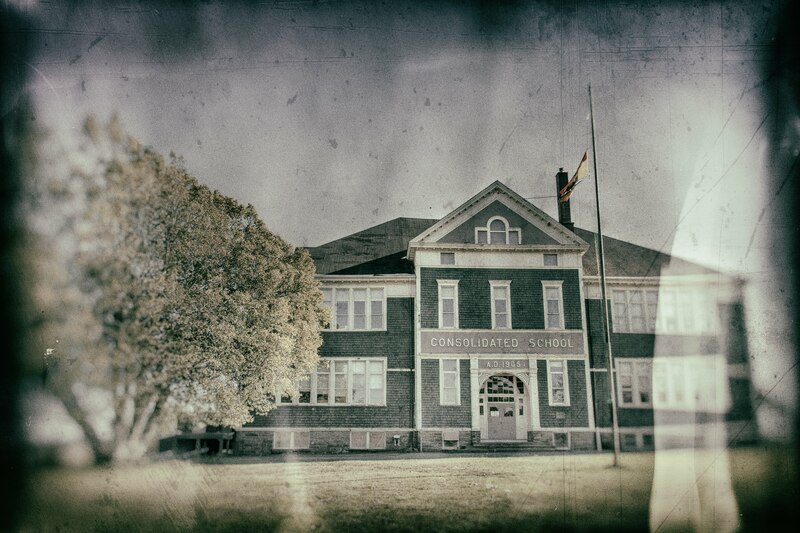 Reid, it was determined that this would be the finest school in the province outside of the towns. It provided manual training, household science and nature work for 225 students. 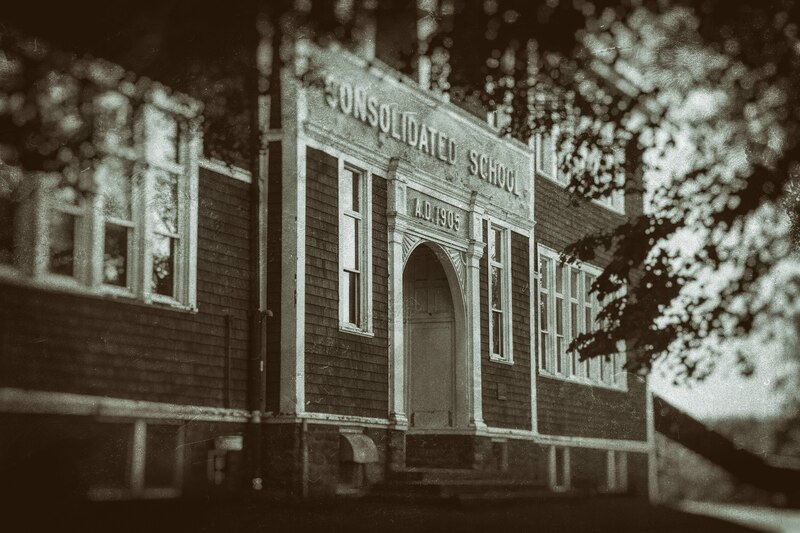 One of the interesting accomplishments of the new school was its attendance of over 80%. The residents were very supportive of the new school by helping with transportation, prizes , equipment and books. It is no surprise then that it continues to flourish even into 2019. 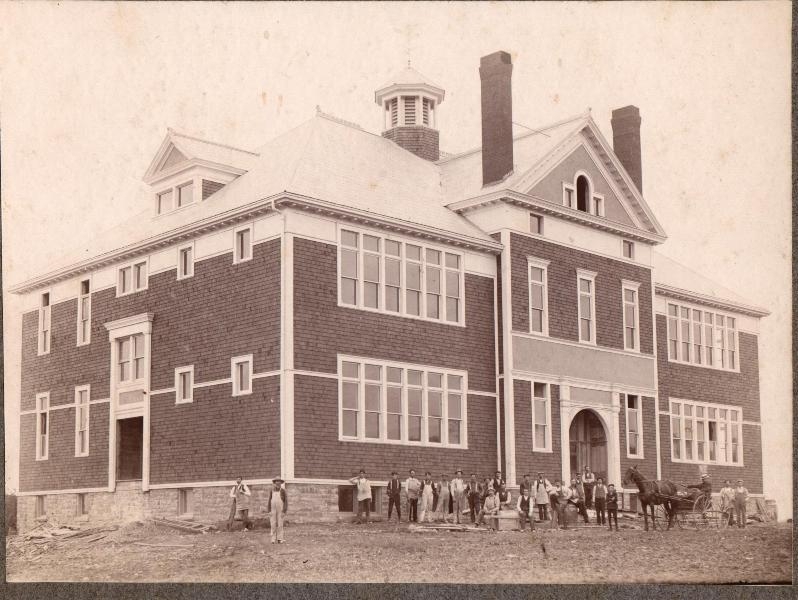 Here is a link about more of its history and more old photos like the one below on the Albert County Museum’s site . I also want to thank Beulah Morrissey for giving me the memorial book on the Riverside School that I used as a reference as well. This wonderful building not only helps to educate but it is central to serving many other functions. 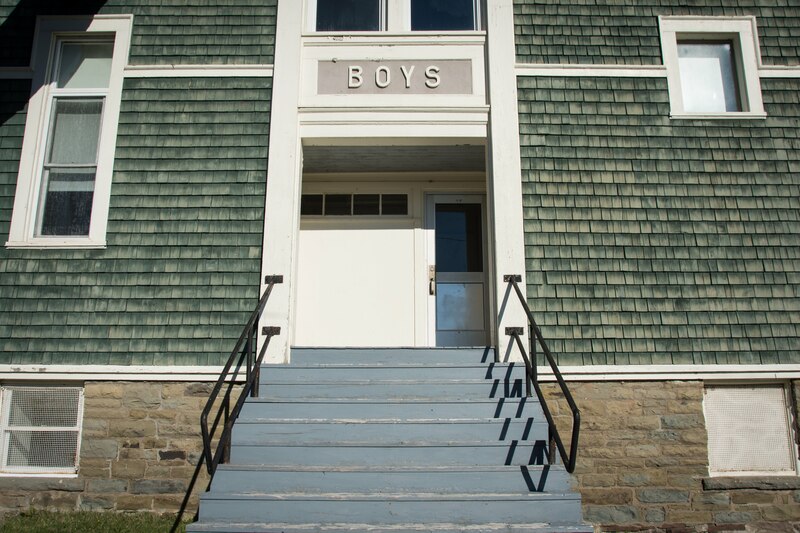 Back in 2015 there were threats to its closure but again with so much support from parents and leaders, the Anglophone School district voted to keep it open with the caveat that it would also serve other purposes. Check out the Connecting Albert County website for some more background to those discussions. 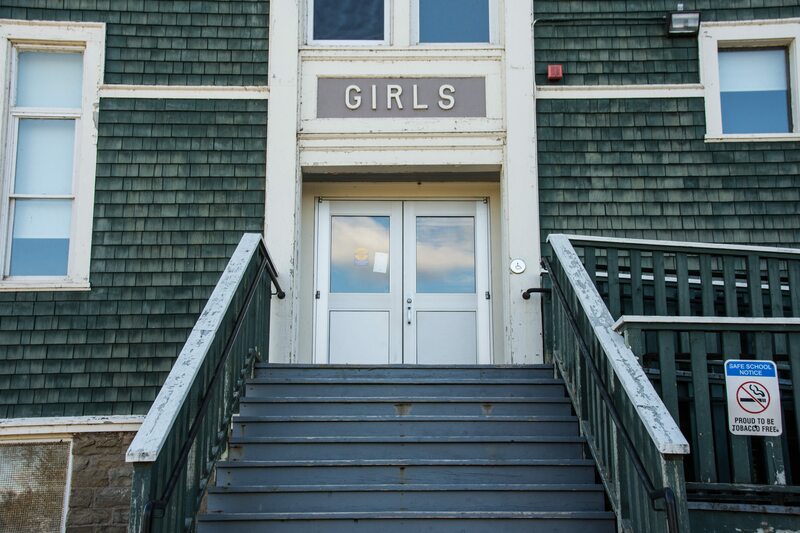 Right now the school runs as a K-5 school facility but it also houses a licensed day care for kids ages 2-12 known as East Coast Kids which has been running since 2017. This serves a need in the community for quality daycare and employment. The school also serves as a place for community meetings and adult learning programs. Another program that has been running at the school is the Garden Club. With the help of Farmer Brown and Foods of the Fundy Valley , there have been some great projects and initiatives happening at the school- from raised beds for growing vegetables that get used at the school and the local food bank ,to landscape planning and garden creation. This continues the mission started by the “Macdonald Movement” in 1900 where Sir William Macdonald wanted to see rural education include nature work and household science. Students at the school in those early years also had plots for gardening as they do now. There is a lot of pride in this school and we hope it continues to serve well into the future! Of course I have thoroughly enjoyed getting into the school to tour around and shop during the Annual Christmas Market event which is Dec 1st this year from 9-4.There are vendors set up in each of the classrooms where you can get your “passport” stamped for entry to win a gift basket. There will be breakfast available as well as a soup bar for $6. The school will be a drop off point for new toys as a toy drive with Longhorn transportation for local families. If you have ever wanted to see inside, this will be the perfect opportunity! 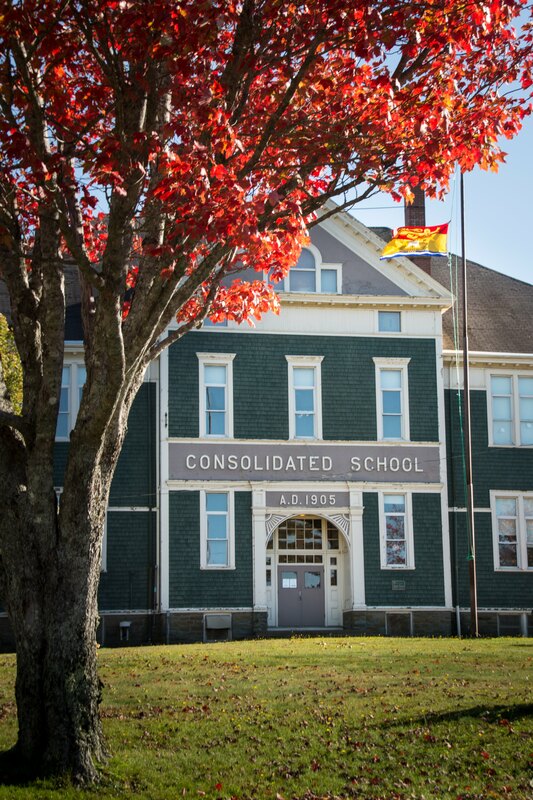 Of course there are other places to visit this weekend to coincide with the school’s market on Dec 1st and 2nd for the Christmas in the Country tour through Albert County. Maps are available at Briggs Maples and some other shops but I have put one here for reference and a link to the event on Facebook here. There are places to eat in Hillsborough like Cinnamon Soul Cafe and Rocco’s Cucina which opened for business today! Of course if you get all the way to Alma, An Octopus Garden and Buddha Bear will be open also. There will be lots of vendors gathered in Hillsborough and Broadleaf Farm also has lots of activities going on including another Sunday brunch! They will have some baked goods from Little Ridge Bakeshop and they are also taking orders for Christmas baking. 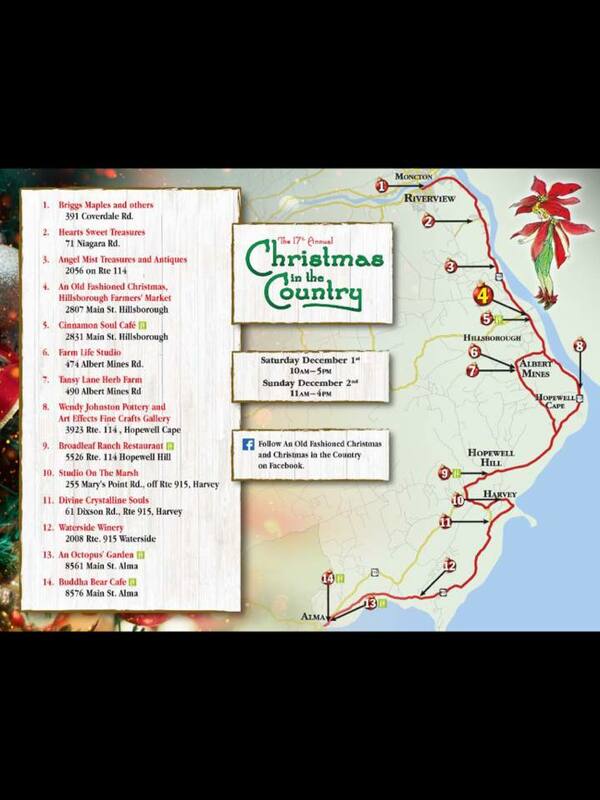 This has always been one of my favourite events of the year! I am so sad I have to work again this year on the same weekend this is happening. If I can get done early on Saturday I may try to head down and at least get to Hillsborough before 5 pm! I would love to know who gets down for this event and what you saw or enjoyed doing the most! The weather looks great so have a blast !! This entry was posted in Albert County, Uncategorized and tagged Christmas, country, riverside, school by Sheila. Bookmark the permalink.